In case you haven’t seen it yet, here’s the book. 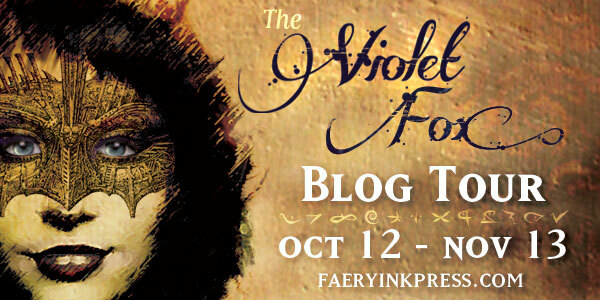 The blog tour for The Violet Fox will run from October 12 to November 13, 2012. I’m looking for 40-50 bloggers to participate. Yeah I know, a lot! Large and small blogs are welcome. Participating doesn’t just mean reviewing: if you don’t have time to read, we can do an interview, or a guest post, or a simple shout-out instead! All creative ideas are welcome. At this time, I can only give out eBooks. This is mainly because I won’t have the physical copies ready until near the end of September, where it will be too late to send them out! Also, the cost to send things from Canada is pretty atrocious, and I’m a one-woman press. However, this doesn’t mean you can’t borrow, win or purchase a copy! Thanks for understanding. 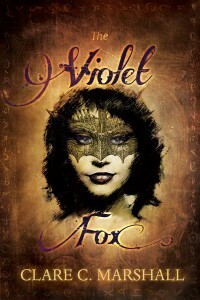 In The Violet Fox, our protagonist Kiera Driscoll must disguise herself as a princess to retrieve a magical tome that rightfully belongs to her people. She infiltrates the castle as a guest of the Gathering Festivities. Held every year, The Gathering is meant to foster relationships between the four provinces of Marlenia…and to help the handsome Prince Keegan eventually choose his bride, who will rule the land of Marlenia with him in the future. As part of the blog tour, we’re going to have our very own Gathering celebration! For one week (October 14 to October 21, 2012), there will be quizzes, a scavenger hunt, a treasure hunt…and YOU can visit Marlenia by starring in a mini choose-your-own-adventure-style story! Read more about The Gathering and how you can participate here. There are currently lots of spots open, so contact me by leaving a comment with your blog’s URL and/or email address with how you’d like to participate in the blog tour (review, interview, guest post, or any other suggestion). You can also use the contact form. 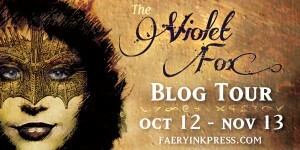 I will be having a big giveaway during the tour where you could win Faery Ink Press books, SWAG, and handmade journals! More information about the big giveaway will be available closer to the day. Diana and I would love to be part of the tour! YAY! I would love to do a review. October 22 would be my first choice and 23 second choice. YAY! Emailing you and penciling you in for October 22. Hi Clare, I’d love to have you do a guest post on my blog. November 13 would be great for me. Hey! I’d love to participate in you blog tour in any way.